Nintendo has shown that its new gaming machine can be used as a portable but it’s not ready to say how long the machine can run in that mode without needing to be plugged in. 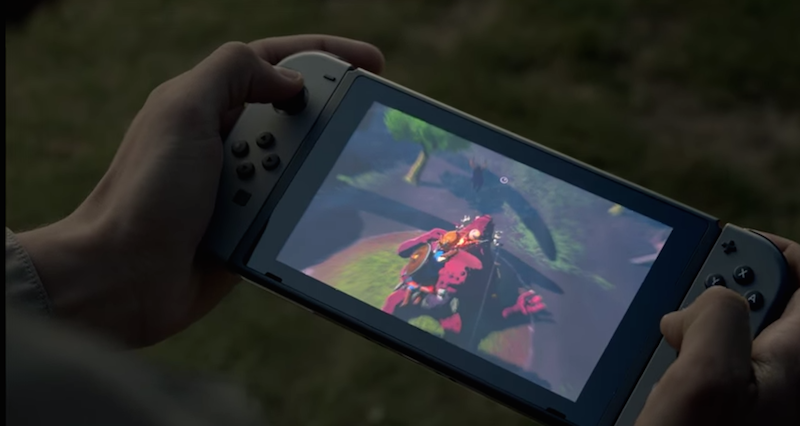 And will it have a touchscreen, something that wasn’t evident in the Switch’s debut trailer? Touchscreen support has been rumored and could well be part of the system’s design. It won’t make or break the system. But a short battery life could short circuit the Switch’s core promise: to let people easily go from playing a rich, deep game on their TV to playing the same game on the go. The Switch’s trailer showed a gamer doing that with Skyrim, a role-playing game with dozens of hours of things to do in it. On its 3DS systems, battery life has tended to be about 3-5 hours. Nintendo’s Wii U GamePad controller, which had a screen it, also had an estimated 3-5 hours of battery life. Nintendo is promising that people can “comfortably” enjoy Switch games on the go. Is that code for good battery life? We’ll find out before the system’s launch in March 2017.